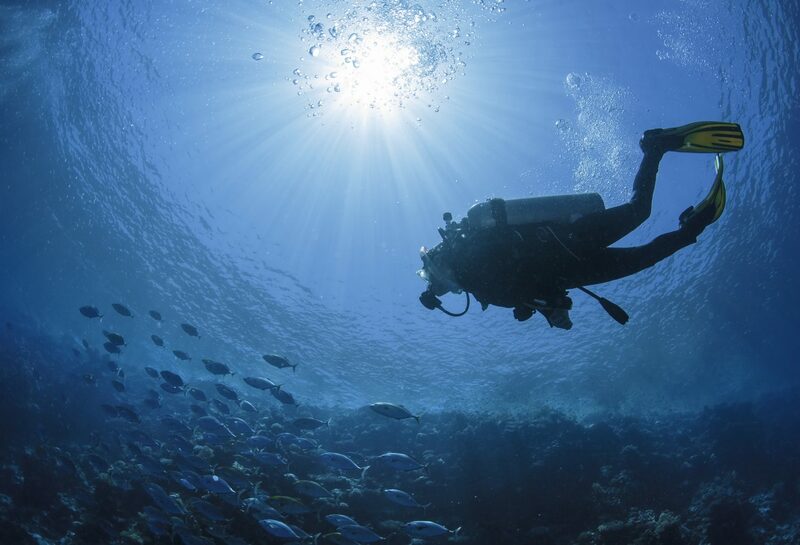 Think finding the Best GoPro Mount For Scuba is challenging? 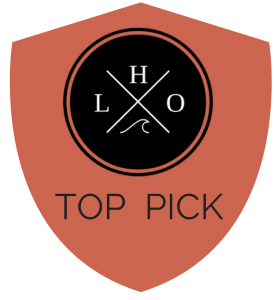 Here are our favorite mounts, including our top pick - the SANDMARC Waterproof Telescoping Pole. The popularity of GoPro Cameras has totally changed the way sports are being filmed by both the lay sportsperson and the professional. 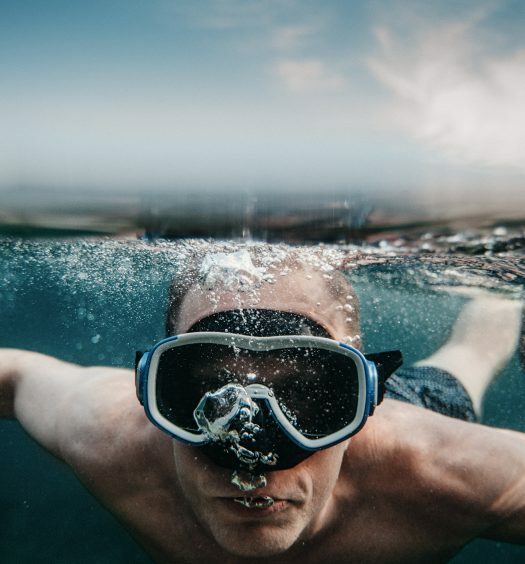 Whether you are out for a day of snowboarding with your friends, snorkeling on holiday, or a motocross pro, there is no doubt the GoPro has been everyone’s go-to camera for catching their best moments or worst crashes. But how you carry your camera can be sometimes tricky and many people move to helmet or other kinds of mounts to keep their hands free and make for a more stable picture. Still, other people prefer to hold their camera in a handheld mount to have a bit more control over what is being shot and to see what is being filmed. Another popular option is a wrist mount. This is no different in the world of scuba diving, where there are a number of options for GoPro camera mounts. Although there are some advantages and disadvantages to each type of mount, it’s basically all up to the individual and what they prefer, but the number of choices can be overwhelming. I take a look here at the different options to break down the best of each type. 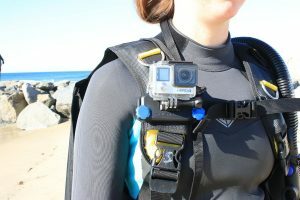 Functionality: The mounts that I’m looking for don’t have to be specifically for scuba diving but they definitely need to be functional and work well underwater. Easy to use while underwater, easy to hold if it’s a handheld type and compatible with the movements of scuba diving are all things I’m looking for. Quality: Quality of materials are important when looking for a GoPro mount for scuba. If it is not made from rust free materials or stainless steel than the price should reflect that. I am not averse to choosing a higher priced mount if it has good reviews and doesn’t rust. Something well made that is going to last many dives would be ideal. Stability: I’m looking for a GoPro mount that scuba divers have had experience using and can attest to good photos and video. I want a GoPro mount that holds the camera stable underwater. 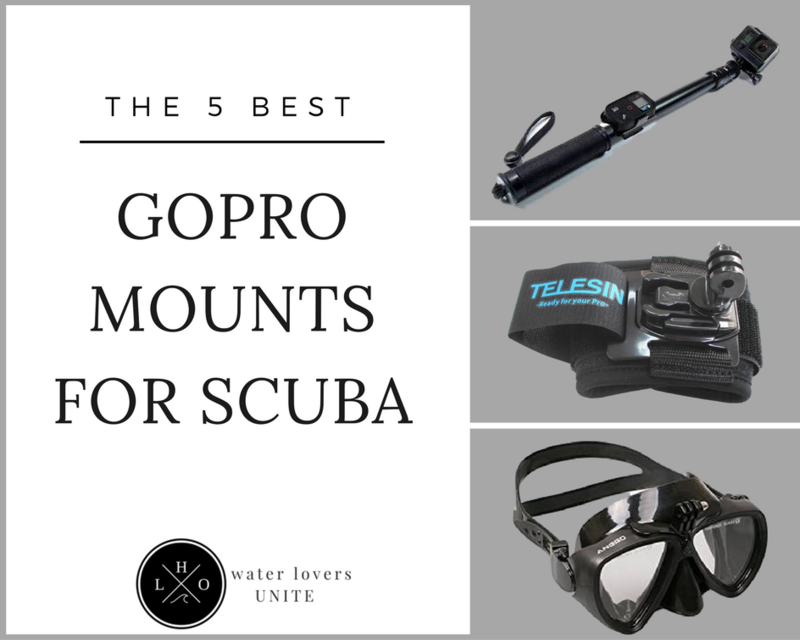 Mount Type: There are many different types of mounts out there for the GoPro that work well underwater. So I’m looking for the best of the best including wrist mounts, mask mounts and handheld mounts. For a handheld pole style GoPro mount, the SANDMARC Waterproof Telescoping Extension Pole can’t be beat. First of all-it’s waterproof-made from durable black aluminum with a rubber grip. I love that it has a wrist strap, so it can’t float away while you’re diving and it’s adjustable so you can tighten it. It has an adjustable telescoping length, from 17 to 40 inches so you can adjust it depending on how close you are to your subject. 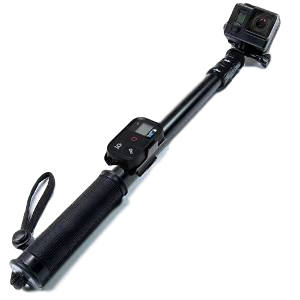 It’s especially designed to fit all GoPro models and has a strong detachable mount and a handy remote clip on the pole by the handle. It’s small and compact for travelling and super light at only 9 ounces. Twist lock mechanisms for each segment match up to higher end, much more expensive poles, and there are some sweet upgrades you can get for this guy, like a metal mount and a tripod attachment. Once the pole is extended and twist locked into place, this mount is stable and a breeze to use. The reviews say it all. Used by professional videography studios and dudes jumping out of helicopters, this mount stands up to the hype and delivers. Best of all, it comes with a 100% lifetime guarantee and a hassle free return policy so you can be sure the company is actually invested in your happiness with this product, which I can really get behind. Their level of customer service has people raving. This is a fantastic little cheap and cheerful mount in the handheld category. No fuss, it just does what it is supposed to do, is tiny and compact and easy to use. Instead of the telescopic extendable handle like the previous model, this BESTEAM Floating Handle Grip is 7 inches tall and stays that way. The handle is hollow and there are a few ways you can use it. It can also be used to store small items, like keys and has a handy twist off bright orange cap for increased visibility. The cap also has a nice plastic loop so you can fit it with a wrist holder if you want or a clip for when you aren’t using it. Both wrist strap and carabiner are included! If you fill up the handle with water, it hovers, but doesn’t completely float and when empty, it’s watertight and floats to the surface nicely. It has a textured non slip foam handle that doesn’t break down underwater or get sticky. Direct mount with 180-degree range, this mount works with the GoPro HD Silver and Black and the Hero 1-4s. The package comes complete with the floating hand grip, screws, carabiner and wrist strap, wrench, universal conversion adapter and dual head holder adapter mount, both with ¼ inch-20 threading. The dual head mount is perfect for adding a light for those night dives. A very nice option for scuba divers. Everything you need is here, this mount has scuba divers very happy but is also great for snorkeling, swimming, diving and surfing. 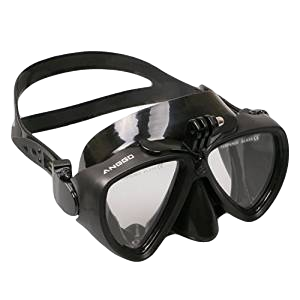 A popular option for scuba divers, the ANGGO Adult Anti-fog Dive Mask with Mount allows for the option of a mask mount, keeping your hands free. The fully removable mount fits all GoPro models and the mask is made with 3.5 millimeters of tempered glass. Anti-fog film coating on the inside means you’ll be able to see clearly at all times. The mask is one size fits all-the flexible silicon face skirt fits every face shape without leaks and the head straps are adjustable. Comes with a hard plastic protective case. While it takes a bit of practice to get your camera at just the right angle, a mask mount is a great way to shoot underwater. No leaks and no fogs at all depths, this is one of the best mask style GoPro mounts out there at a great price. Comes in black, blue or red. Another great option for those who wish to keep their hands free, a wrist mount can really be convenient when under water. 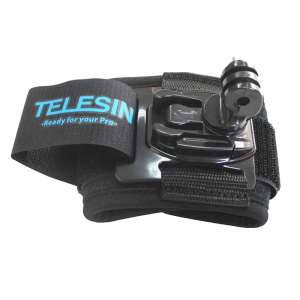 The TELESIN 360 Degree Rotary Arm Hand Wrist Strap is an affordable example of a great wrist mount with stellar reviews. I like how you can put the camera down parallel to your arm when you aren’t using it, or swimming and then it easily moves back to perpendicular when you are ready to shoot. With 360 rotation you can shoot from your wrist at all angles. 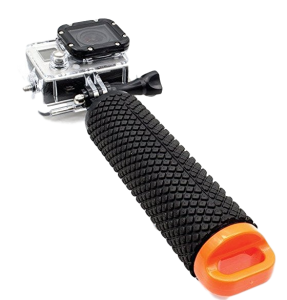 High strength flexible fabric secures to the wrist well with comfortable dual Velcro enclosure and the mount has the standard GoPro attachment that will fit all models. Secure and stable during dives and it dries quickly. The plastic 360-degree J hook takes some working for some people to get it to swivel easily but once it is broken in, it’s a piece of cake. Great at all depths, the reviews speak for themselves. A lot of happy satisfied divers with this mount. 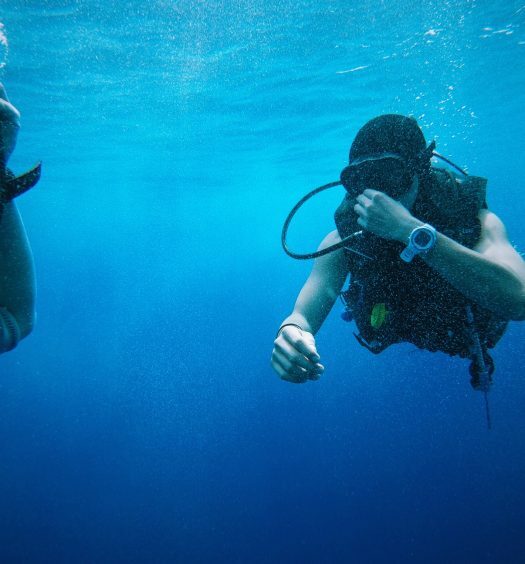 A final, fantastic hands free option is to mount your GoPro directly to your scuba BCD. The PolarPro StrapMount lets you get up close POV footage while offering stability and a ton of mounting options. I love how these guys tout the heavy duty construction of this mount-bombproof glass filled nylon. Bomb proof! The StrapMount can attach to anything under ¾ inch thick like a strap or rope with a nice quick release plate to remove your camera easily. With the optional PolarPro ProGrip accessory, you can lock into the strap mount and releases easily with a lever. The ProGrip accessory also has a handy storage compartment for odds and ends. Quality construction, durable and made for every kind of sport, this mount excels underwater where you can unclip your camera easily to get closer or a different POV and easily pop it back in. Never comes loose, doesn’t feel cheap and has a limited lifetime warranty.